The Old Gymnasium in Southwold, Suffolk, is a holiday cottage in the centre of town. A short walk to the Adnams pubs, restaurant and shops. And close to the beach and pier too. The Old Gymnasium sleeps 10 people - which makes this an ideal place to take holiday with friends and family. The Old Gymnasium sleeps 10 people in 4 bedrooms: a double bedroom, 2 twin bedrooms, and a larger bedroom with twin beds and a bunk bed. All the bedrooms are en suite too. The Old Gymnasium is spread over 3 floors. The ground floor has a living room with a TV and DVD player; and a cloakroom with a basin and toilet. The first floor has a sitting area with a TV and iPod dock. There is a kitchen, utility room (with washing machine and tumble dryer) and two of the bedrooms. The second floor has the final two bedrooms. There are three balconies at The Old Gymnasium (with a photo of one of them shown below). The Old Gymnasium has gas heating, with your bed linen and towels being included in the price of your holiday. Wi-Fi is also available at The Old Gymnasium. The Old Gymnasium is located in the centre of Southwold, so you have an easy walk to the various pubs, restaurants and shops in the town. Southwold is home to Adnams, and as such many of the pubs sell Adnams various beers - there is a large Adnams shop near to The Old Gymnasium, where you can buy all manner of Adnams related products. The beach and pier are the place to spend a summers' day. And the unique amusement arcade on the pier has to be tried! Along the coast a little way you have Aldeburgh and Thorpeness - nice quiet towns which, respectively, have fresh fish for sale and a large boating Meare. Head north from The Old Gymnasium has visit Great Yarmouth (the children will love it). You can easily visit the Norfolk Broads and hire a boat for an hour or two; or visit BeWILDerwood for a day out for the children. 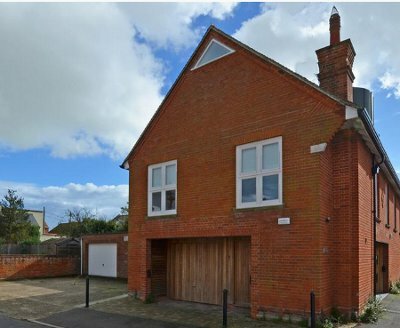 Should The Old Gymnasium not be to your liking, but you fancy staying in the area around Southwold, you might well be interested in the cottages below. All these cottages are within a few miles of The Old Gymnasium.